I remember Loma Prieta. I was almost 3 1/2 years old. I was in my Chinatown home, situated on a sturdy hill at Powell and Broadway. I remember standing at the bottom of our 26 step metal staircase next to my great Aunt Nellie. At the top was my grandma. The door next to me was an old glass door with a wooden frame. We were getting ready to leave when it started shaking. And after the shaking stopped I ran up the stairs towards her. I don’t think I was scared, but more in shock of feeling something so strange. I don’t remember additional details, but my grandma has told me we were going out shopping for groceries and that we ended up staying home instead. She also said not a single thing fell. As I grew up, every time I visited the Academy of Sciences, my favorite thing was the earthquake simulator; I thought that thing was so cool. It wasn’t until I became a lot older than I realized how dangerous earthquakes were. I lived in San Jose Brookdale Apts. I was sitting down to watch the World Series. I had a bologna sandwich in one hand and a glass of milk in the other when it hit. I freaked, and threw the sandwich and milk while running to the hallway. I watched as all of my Roseville Pottery collection crashed to the living room floor. I screamed “STOP! !” about a hundred times. Afterwards, I tried to secure everything. Months later I found I had put a bunch of rubber bands in the ice trays in my freezer. I was 10 years old. The weather was hot and dry, our Indian summer in the East Bay. The sky was orange, as it is with every earthquake weather. I lived on Bristol Road in Dublin, and I was riding my most favorite skateboard at first westbound on tamarack drive and turned north onto Bristol Road. I was skating with my best friend Eli Gonzalez. I was two houses down from my house on the sidewalk when I heard the loudest cracking, like a sheet of tile being cracked, but not falling or crashing to the ground. I turned, looking south when I seen the road lift up and ripple like a wave towards me. There was a car that slammed on the brakes, and the woman got out of her car screaming. I seen my mom standing in the archway of these massive Spanish archways we had in front of our house and she started screaming for me and Eli to hurry up, we were having a major earthquake and to get in the house under a doorway. She grabbed us as we approached the house, and pulled us inside under the main doorway of the house. We stood there, listening to the glasses we had hanging in the kitchen area and the pot rack over the center island in the kitchen. Then the neighbors came over and said the Bay Bridge collapsed. So we turned on Channel 2, KTVU, which I think everyone in the Bay Area watched religiously. Dennis Richmond and Elaine Corral came on for a special report. 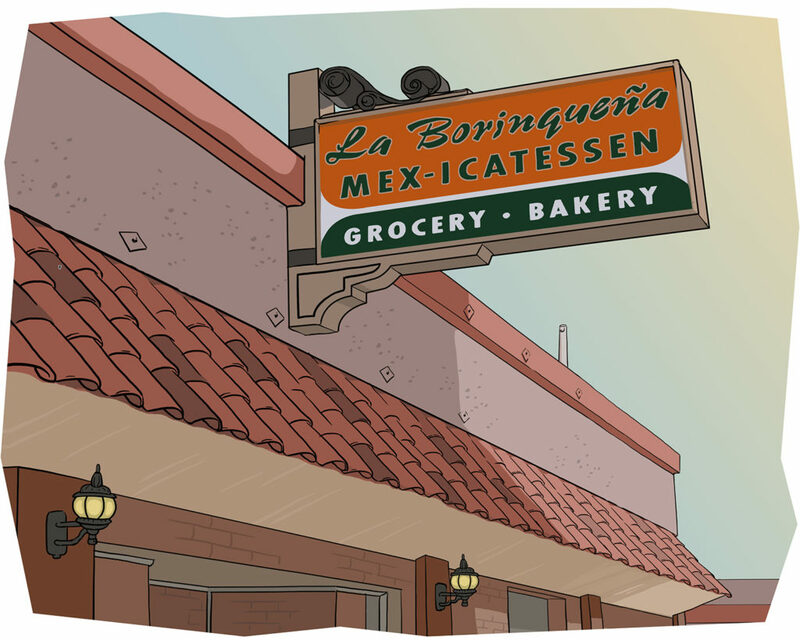 The next day we went to Oakland because my dad, an alcoholic, had just gotten off the Cypress Structure to stop for a beer at La Borinqueña. He watched the freeway crumble behind him. He helped rescue people. I’ll never forget, there was a Chevron gas truck in one section of the freeway that didn’t collapse, but maybe one foot in front and one foot in back was gone. Seriously, pure luck saved that driver. I will never forget the smell of the blood as we stood looking at the Cypress Structure. It will always stay with me. It’s been over 26 years since the 1989 Loma Prieta earthquake, and yet I still can hardly look at a photo of the Cooper House without getting a little emotional. I was there that day, in the weeks following the earthquake, when they brought it down with a wrecking ball and bulldozers. That day, tears flowed down the cheeks of many of the Santa Cruzans who had gathered to say their goodbyes to the grand old building, which had stood on the corner of Pacific Avenue and Cooper Street since 1894. To this day, there are those who contend that the Cooper House didn’t have to be demolished, that the earthquake hadn’t truly damaged it completely beyond repair, as had been reported, and that it actually could’ve been saved. God knows there were no shortage of people who wanted to save it. Talk to anyone who spent any time at all in downtown Santa Cruz during the Cooper House years, and they will all no doubt have a story or two about good times spent there. My earliest memory of the place dates back to the mid 60’s when I went there with my grandmother. I was about 7. 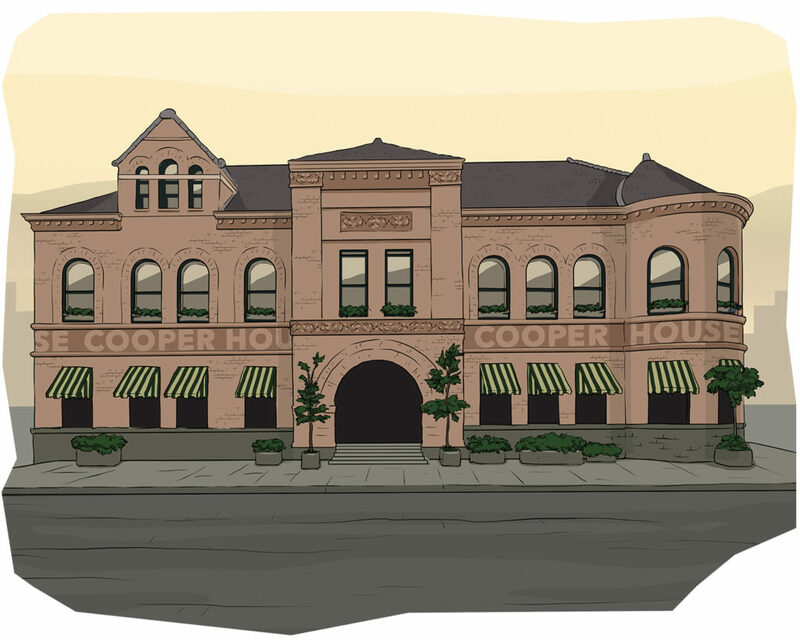 Of course, in those days it wasn’t known as the Cooper House. It was still the Santa Cruz County Courthouse. Many people mistakenly call the Loma Prieta quake the 1989 San Francisco earthquake. The epicenter of the earthquake, however, was actually in the redwood forest of Nicene Marks State Park in Santa Cruz County, roughly 80 miles south of San Francisco, and less than 10 miles from where I lived at the time, in the Live Oak area of Santa Cruz. I was still working in radio back then, and, along with Eddie Hudson, was doing news for radio station KSCO, which was the official emergency broadcast network station for the Monterey Bay. We practically lived at the station for the next week, and at least one of us was on the air disseminating information round the clock. I was never more proud to be a Santa Cruz native than I was in the week or so following the earthquake. People came together to help each other in a way I had never seen. Santa Cruz felt like more of a community than ever. So many people doing everything they could to be of service to others. But, as so often happens in times following such natural disasters, that beautiful collective of community spirit soon dissipated. The memories of the of the quake itself and the days which followed, however, especially the day we all had to say goodbye to the Cooper House, will likely never really dissipate completely for anyone who was there. I know they certainly won’t for me. I used to work in the Bay Area, often running the Cypress structure top and bottom, but in 1989 had been working in the North Bay Area for 2 years. I was working on a Victorian home salvage project in Valley Ford, and that day, I had removed much of the cross bracing under the house to replace dry rotted timbers and had a carpenter under the house adding bracing back as I jacked the house up to level it in sections. I looked out the window to see him darting out from the access panel and looked along Hwy 1, and the power poles were stirring and the hills were rolling. I about threw up, as did my GF. We all got clear of the house and turned on the radios in our vehicles. Needless to say, I braced the house from the outside and left to see what had happened back in my city of Petaluma. 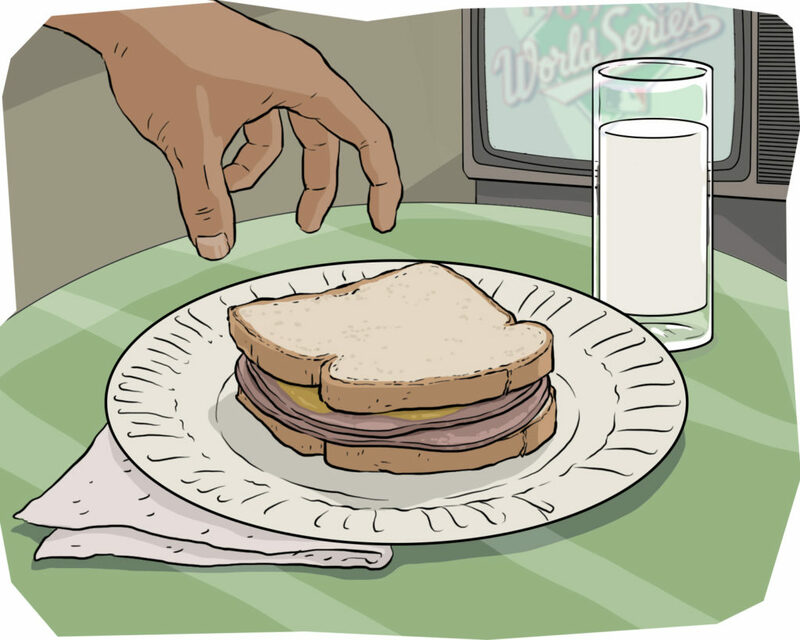 I was at Candlestick Park, field anchoring for the World Series, when the shaking started. When the masts on the news vans began to sway, we moved to a safe area and could see the concrete parking lot roll in waves like Jell-O. Then people started leaving the stadium in droves, everyone scared and anxious about loved ones. Sports Anchor and great guy, Wayne Walker, came out to join our news crew and we broadcast from Candlestick when we were able to get a signal. The early reports coming in were often inaccurate, for example- we heard that the bay bridge had collapsed. As it got dark, we drove back to the station- it was kind of surreal; quiet and dark with no streetlights and no one on the streets. Then, I joined Dave McElhatton on the update desk in the newsroom. Power was out, so the engineers used generators to get us on the air. I was sitting next to the sweetest man in television and we were both able to get ahold of our families to make sure all was okay. My daughters were in grade school- the five year old was at home with our sitter, my husband at the time picked up our eight year old from Hebrew school. Joe Fonzi joined us and talked about the scene inside the stadium. Once we knew our families were safe, we could really get to work. We were on the air into the wee hours, getting updates from fire and police, and phone calls from people all over the Bay Area telling us what was happening in their neighborhood. People were excited (not in a good way), scared, and often kind of in shock. Soon we were able to get a wider picture of the areas worst hit– the Marina, the Cypress, and Santa Cruz. It was a real lesson in the way earthquakes can work: liquefaction, unreinforced concrete = a problem, the more serious damage spread out in pockets across the bay area. Kate Kelly and Loren Nancarrow took over, and one of our engineers who lived a couple of blocks away let me sleep on his couch. In the morning, I went back, wearing the same blouse I had stored at the station, because it was cotton and comfortable and like, who cares? In the light of day, the damage was clearer and the story turned to the heroism of some, and the kindness of many. That was extraordinary- how people came together in the Bay Area in a way we’d never seen before. “I’m going home to lie down. I’ll be back soon,” I told her teachers. I felt off but, other than a slight dizziness, it was nothing I could put a finger on. Later, I’d wonder if like others of the animal kingdom, I was sensitive to the quake’s impending arrival. I’d come to pick up my daughter from her preschool on Grove and Baker. I, too, attended as a part-time artist-in-residence, developing a program of peace education using puppets and the expressive arts. I’d returned to and just closed the door of my apartment when the building began to sway. Stand under a doorway voiced an inner command dictated by years of living in earthquake country. After the first few head bangs against the doorframe, I realized I’d need to do more than stand. As I stood bracing myself with outstretched arms, my thoughts were on my five year old, five blocks away. I could only pray that the seismic proofing, just completed on her school, was effective. Waiting out those 15-20 seconds before I could stumble disoriented down three flights of stairs seemed endless. 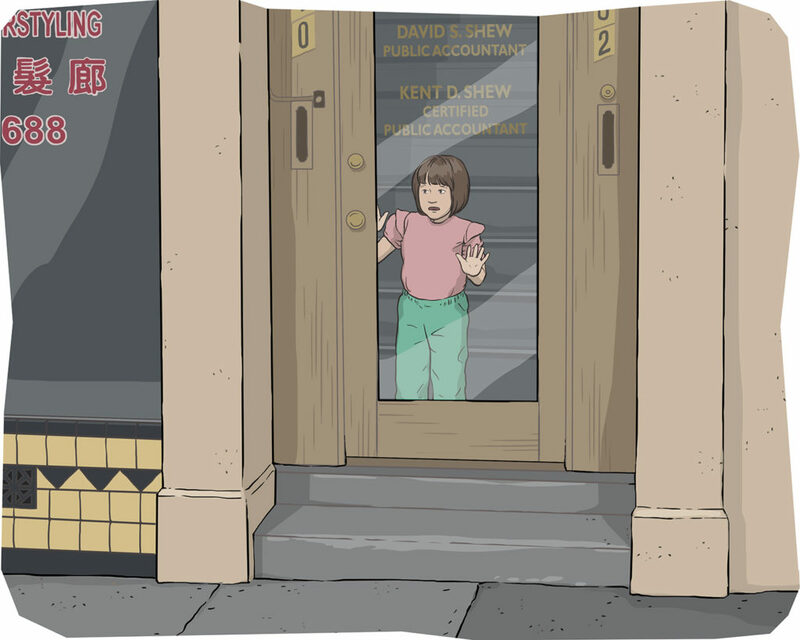 Arriving at her preschool, I yanked open the door. Inside, a young teacher sat on a tiny chair in the lobby. “The bay bridge collapsed,” he whispered clearly shocked, as the shaky voices of newscasters quietly streamed from the large silver boom-box on the low round table. On the day the earth violently shook, I felt every parent’s terror of being separated from their child during a disaster. My panic lasted only as long as it took to run those endless 5 blocks. For other parents, relief would not come so quickly. Suddenly I heard a loud series of thumps across the ceiling. Why was someone running on the roof? Then it seemed an elephant ran across—my first inkling that it might be an earthquake. I looked out the window to see if anything was moving, and then all hell broke loose. I dove under the worktable, where a huge heavy carton of yarn was stored; normally I had to struggle with my whole body to budge it, but now I shoved it right out of my way with one hand. Having grown up in the Bay Area, I had “the position” drilled into my head, but like everyone else I knew, I had always been too cool to use it. Terrified, I crouched into a ball, tucked my head down, and folded my arms around my head. I listened to everything falling around me and prayed, “Please stop, please just make it stop”. Eventually the world stilled into quiet. One coworker let out a “Whooooooo!” and someone else called, “Everyone alright?” We all crept out of our hiding places. The yarn skeining machine had fallen over onto my worktable. A window pane had shattered. The tall warehouse shelves had gone parallelogram, squeezing soft bags of yarn with them. Elsewhere, hundreds of cones of yarn had fallen into heaps on the floor. I was glad I worked in a place with mostly soft, light things. Seeing that everyone was okay, I booked it on out of there and caught my bus, which was miraculously still on time. Two guys in the back were talking mortality: “Yeah, you never know when your time is gonna come…” “Anything can happen….” As we traveled south on San Pablo, a plume of black smoke billowed up from downtown Berkeley. Back home, my downstairs neighbor ran up to me: “I think your water heater is leaking into my apartment!” I went up, shut off the water heater, put down some rags, and looked around for other damage. My vintage glass bottles had tumbled safely from a windowsill onto my bed below; they never went back up there after that. A jar of red lentils was broken on the pantry floor. Phones & electricity were out. Everything else seemed alright. My other downstairs neighbors invited me to join them for dinner in the backyard; they were preserving calm and routine for their toddler. I was sitting with them, still too freaked out to eat, when the guy from next door, a constant jokester, came over and said, “The Bay Bridge fell down.” He had to repeat himself 4 or 5 times before we believed him. I spent the rest of the evening trying to call family and friends. I didn’t know where my housemate was. Every time I managed to calm down, another aftershock would make me leap out of my skin all over again. Then I remembered my scary avalanche dream from the night before, which freaked me out even more. I’ve never been the same about earthquakes since.